Whether you’re a seasoned hiker or a newbie, we can all do with some trekking tips to make sure we have the best possible experience on the trail. On this page, we’ve outlined some of our favorite trekking tips and tricks. We also cover trek difficulty. What does “average” difficulty mean? If something is “adventurous,” should I be concerned? We answer these questions and much more below on our Trek FAQs Peru. For a really comprehensive guide to trekking in Peru, don’t miss our Definitive Guide to Alternative Treks in Peru! Trekking Tip #1 – Go at your own pace. It’s not a race. Most of our Peru tours have adequate time built in for you to take it easy along the trail. We also find it is more enjoyable to stop and rest frequently, admiring the landscapes than to arrive at camp early and sit in your tent! Trekking Tip #2 – Take the time to acclimatize. We recommend you spend 3 days at high altitude before departing, 2 days at a minimum. Even if you’ve been at altitude before, the next time may affect you differently. Read more about Altitude Sickness & Acclimatization. Trekking Tip #3 – Prepare for your trek by getting fit. Hit the gym. Do some day hikes at home before you leave, beginning with shorter, 1 hour hikes, and working your way up to as much as 15km per day. Include uphill walks, or even better, try to hike in the mountains if you live in a mountainous area. If you decide to embark on a rigorous fitness program, we recommend doing so under the supervision of a qualified medical or fitness professional. Any training regimen you undergo should be tailored to you according to your current fitness level and prior experience. Our general advice: the fitter you are, the easier the hike will be! Trekking Tip #4 – Take slow, even steps. This is an especially important trekking tip when going uphill, or at the higher altitudes along the route. Trekking Tip #5 – Make sure your trekking boots are well worn in. If you’ve just purchased a new pair, we recommend two weeks of frequent wear to make sure your feet are totally accustomed to them and that your hike will be comfortable. Trekking Tip #6 – Take “second skin” blister protection and your own medical kit. No one wants to hike with blisters! Our medical kit is well-stocked, but if you have a preferred blister treatment, such as moleskin or ‘second skin’, it would be good for you to bring your own. Trekking Tip #7 – Extra socks! They are light and easy to carry and can warm your toes at night as well as help out in the case of ill-fitting shoes. Not to mention you’ll be thankful for them if your feet happen to get wet on the trail! Trekking Tip #8 – Use a walking stick! Walking sticks help with balance going downhill and resting walking uphill. If you’d like to use a walking stick and don’t already have your own, you can purchase colorful sticks in Ollantaytambo, or rent them from us. Note: Walking sticks cannot be taken into Machu Picchu! Trekking Tip #9 – Bring sweets and snacks. We provide snacks for the trail, but it never hurts to have a little extra on hand. Sweets in particular give you energy and seem to take your mind off the challenge of steep passes! Trekking Tip #10 – Consider chewing coca. Mingle with the locals and try an age-old tradition that has kept Andean people healthy and strong for centuries. It’s an acquired taste, but it can give you that little boost you need to get over the pass. Trekking Tip #11 – Wear sunglasses. Always good to have on hand on any trek, sunglasses are a necessity on the Vilcabamba and Ausangate routes where there is a risk of snow blindness. Trekking Tip #12 – Be responsible. Read the Responsible Tourism section of our website, or ask for a copy of our Traveler’s Code of Conduct for tips on what YOU can do to promote responsible tourism while on holidays. 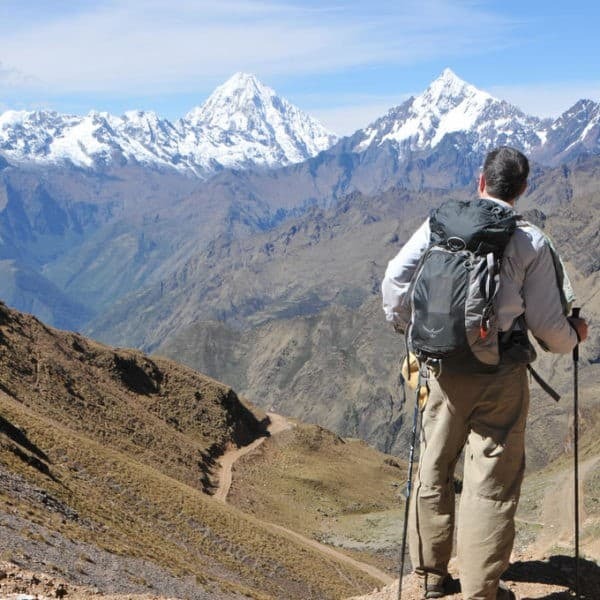 >>Want more great tips about trekking in the Andes? Check out our Definitive Guide to Alternative Trekking in Peru! How Difficult is My Trek? 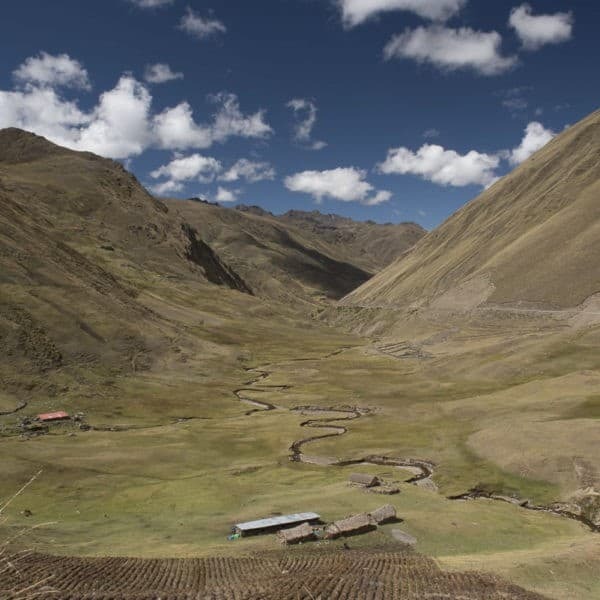 At Apus Peru, we aim to take you off the beaten path and into the REAL Andes. We’ve come up with a three-part rating system that classifies all of our treks based on their difficulty, remoteness and adventurousness. The Remoteness (or Solitude) rating will give you an idea of how busy a particular trek is – from the “everybody hikes this route” trek to the “are you sure there is really a trail here?” hike. The Adventure rating is somewhat similar and will let you know if the route is basically standard tourist fare or if you need to bring your Indiana Jones hat with you. We’ve tried to accurately indicate relative Difficulty for each of our Andean treks but, remember: difficulty is pretty subjective. It depends a lot on your personal fitness and experience. Treks are rated in relation to each other, not in relation to an international standard of difficulty or to hikes in any other region. All hikes in the Andes are challenging. Try to be realistic about your abilities and don’t forget that everything is harder at high altitude! 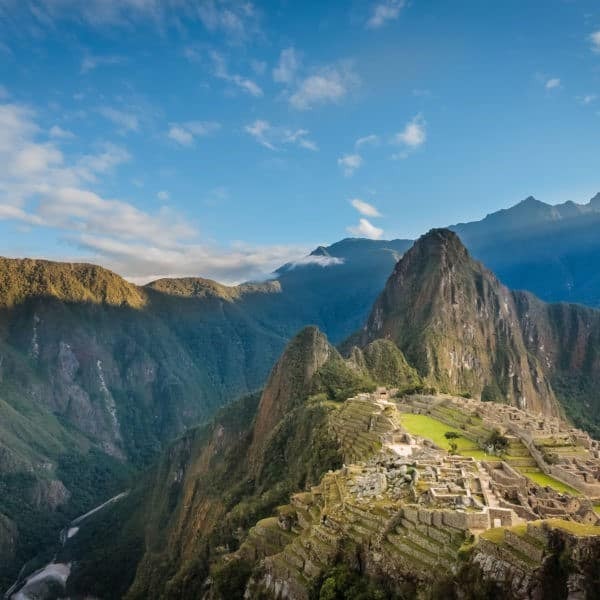 What about the Inca Trail? 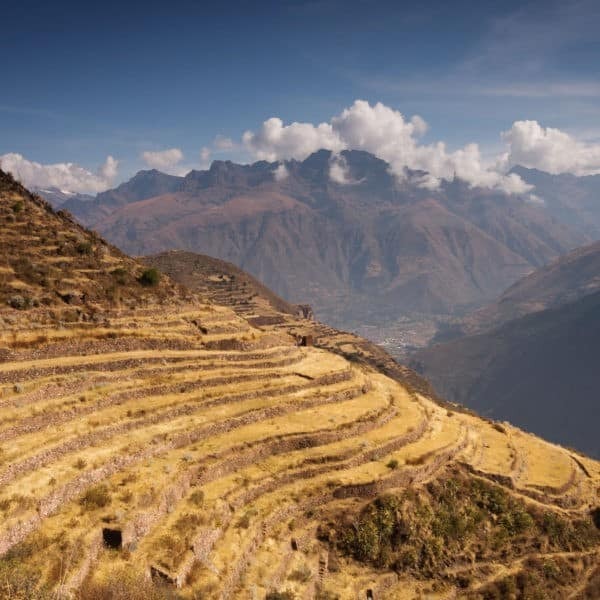 Many people assume that since this is a popular trek, the Classic Inca Trail must be easy. This is certainly not the case! The Inca Trail is a 43km (26 mi) hike at high altitude, with steep uphill sections. The maximum altitude reached is 4200m, and on Day 2, there is an increase in elevation of 1200m – a very hard climb! You should be well prepared (both physically and mentally) before embarking on this trek. Your relative health and fitness will make a big difference in how you experience your trek. It is also very important that you let us know if you have any medical conditions which could affect your trekking ability. If you do not tell us anything, we will assume you are 100% healthy! Do you have a heart condition, knee problems, severe asthma or are you more than 18 weeks pregnant? If so, you should not participate on any trek. People with mild asthma, diabetes or who are less than 18 weeks pregnant must bring a letter from their doctor stating that they are fit to undertake the trek. They also must be accompanied by a healthy trekking companion on the trek at all times who will trek at their side and be familiar with any medicines required in case of an emergency. We do not take any responsibility for the assumptions you make about the trekking routes and their difficulty, or for insufficient acclimatization. We also reserve the right to cancel your trek if you have not fully disclosed, at the time of booking, a medical condition that may pose a risk to your health and/or that of other trekkers. No refunds will be given for cancellation on these grounds. Please refer to our Booking Conditions for more detail. Trekking in the Andes is definitely not easy but it is so worth the physical and mental effort. There is nothing like waking up surrounded by majestic peaks all around you, and barely another soul. 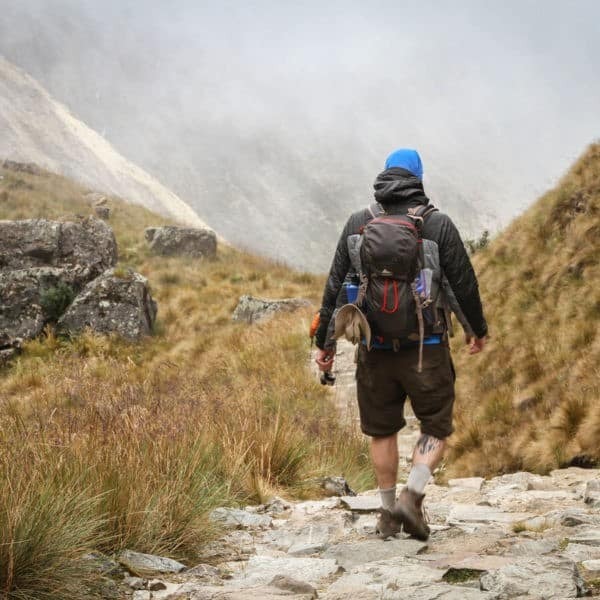 We hope that these trekking tips for hiking in the Andes will help you get the most out of your Andean trekking experience with Apus Peru. We look forward to hiking with you! Don’t forget to read our Definitive Guide to Alternative Trekking in Peru!